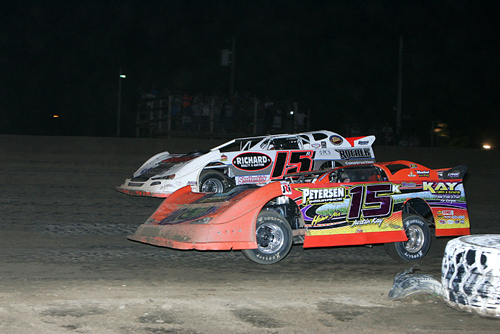 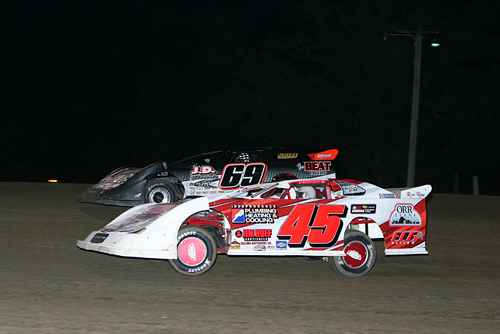 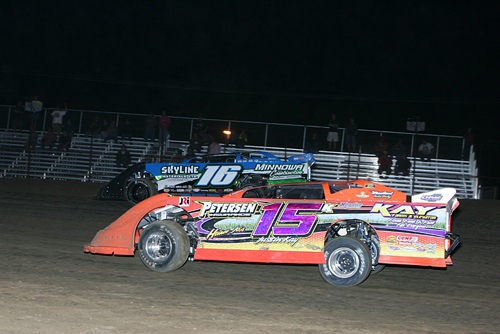 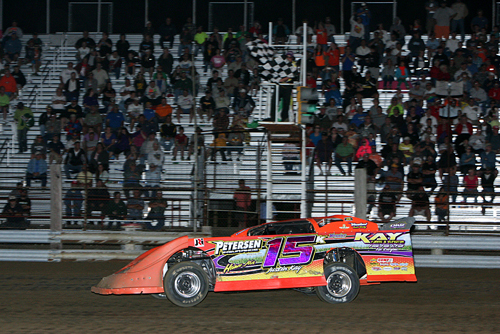 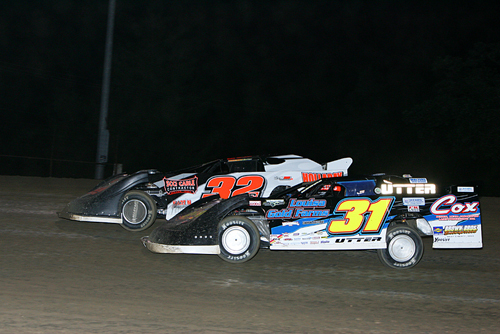 Justin Kay won the exciting Deery Brothers Summer Series 50-lap feature at the Buchanan County Fairgrounds. 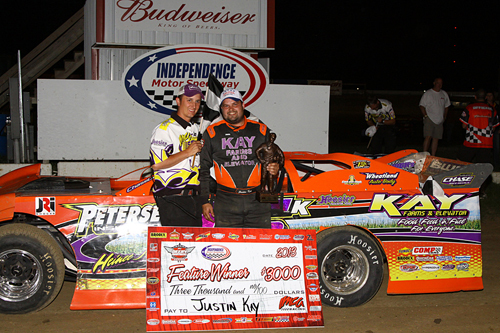 Presenting the checkers to Kay is flagman Grant Oskvig. 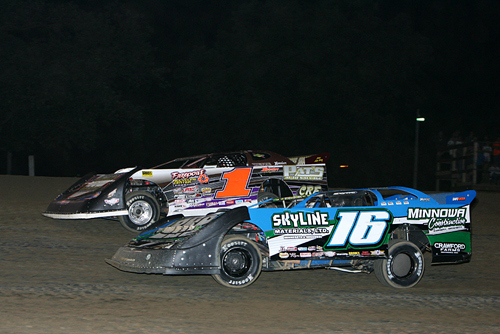 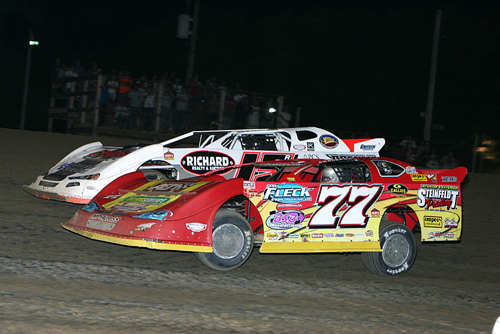 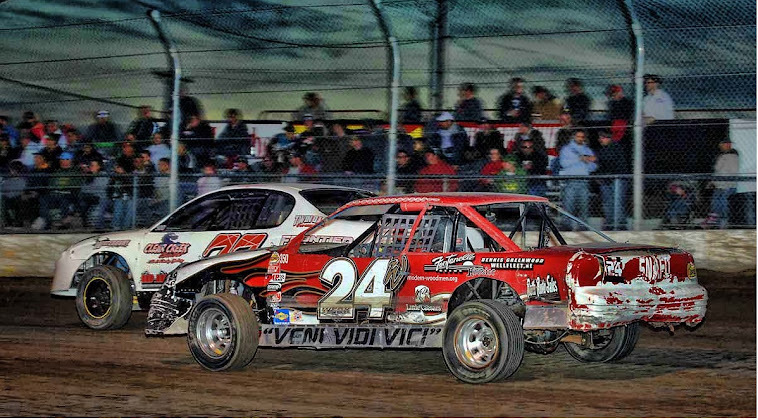 Jeff Aikey (77) and Brian Harris (15r) swapped the top spot numerous times in the early going.